Monarch Air Group provides private air charter in Glendale, AZ. Our clients benefit from top-notch service, unrelenting dedication to safety, wide selection of aircraft, and years of experience in chartering private jets. To obtain a free quote, please use our online quoting tool provided below, or call toll free 1-877-281-3051. Monarch Air Group offers private jet charter services to and from Glendale, AZ USA. Located approximately 10 miles northwest of the state capital of Phoenix, 20 miles west-southwest of Scottsdale and 27 miles west-northwest of Mesa. Situated in the Northwest part of the Valley of the Sun, Glendale is one of the largest cities in Arizona. Often referred to as Arizona’s Antique Capital the city boasts antique stores, boutiques, unique shops, and a plenty of cafes and restaurants in the historic downtown area. There are famous landmarks, historic monuments, wonderful museums, beautiful parks, and legendary special events and festivals. Glendale hosts the annual Tostitos Fiesta Bowl and has served as a Super Bowl place. The most popular tourist attractions include the University of Phoenix Stadium, Arrowhead Regional Mall, Westgate City Center, Historic Downtown Glendale, Historic Murphy Park, and Glendale Civic Center. With rich history, well-preserved charm, gripping atmosphere, and a plenty of entertainment, cultural, and sporting activities, Glendale is a popular destination for both domestic and international business travelers as well as sightseeing tourists. 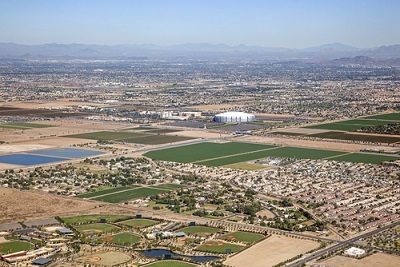 The city is served by Phoenix Deer Valley Airport (DVT), Glendale Municipal Airport (GEU) and Phoenix Sky Harbor International Airport (PHX), which provides private charter flights to business and leisure travelers from all over the world. 1. Hotel Brandwood, 339 North Brand Boulevard, Glendale. 2. Holiday Inn Burbank-Media Center, 150 East Angeleno Avenue, Burbank. 3. Coral Sands Motel, 1730 North Western Avenue, Hollywood. 4. Hilton Los Angeles North/Glendale Hotel & Executive Meeting Ctr, 100 West Glenoaks Blvd, Glendale. 5. Golden Key Hotel Glendale, 123 Colorado Street, Glendale. 6. Hotel Brandwood, 339 North Brand Boulevard, Glendale. 7. Holiday Inn Burbank-Media Center, 150 East Angeleno Avenue, Burbank. 8. Coral Sands Motel, 1730 North Western Avenue, Hollywood. 9. Hilton Los Angeles North/Glendale Hotel & Executive Meeting Ctr, 100 West Glenoaks Blvd, Glendale.